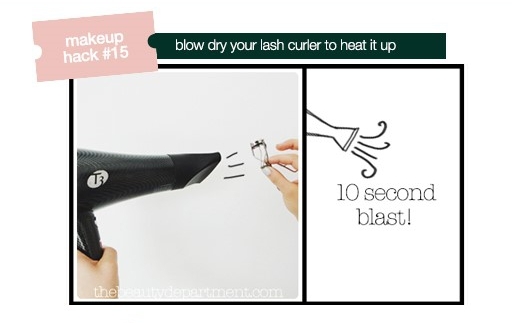 #15 For stubbornly-straight lashes, you have to try our Lash Curling Extreme Tutorial with your favorite lash curler and your hair dryer! 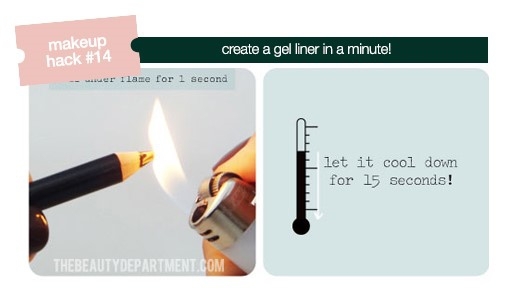 #14 Turn any old kohl pencil into an intense gel liner with our DIY Gel Liner Tutorial, one of the first tutorials I ever created! 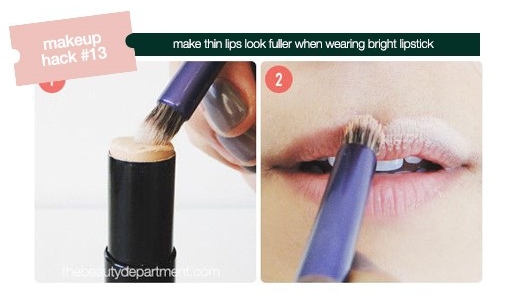 #13 Outline with concealer before rocking a bright lipstick with our fuller lip trick! 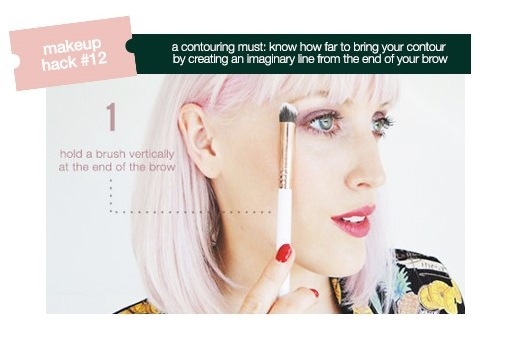 #12 When using your favorite contouring kit, don’t cross the imaginary line! 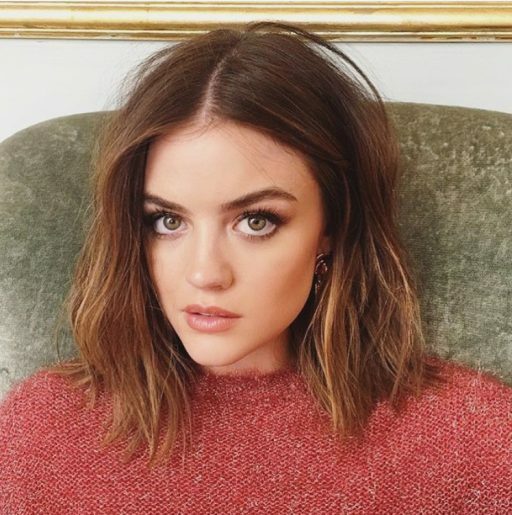 #11 When applying your favorite mascara, it’s all about the roots! 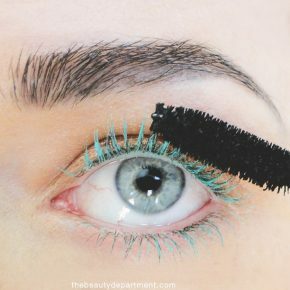 Check out our Mascara Re/Done Tutorial for the steps. 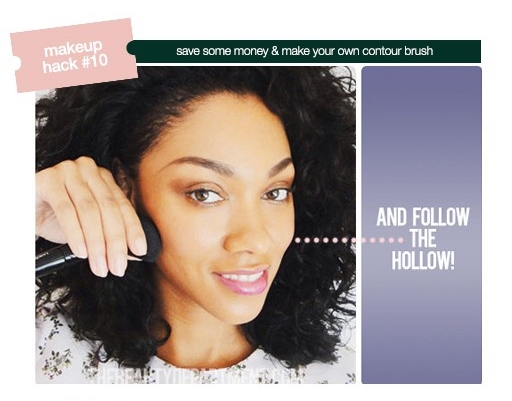 #10 If you don’t have a contour brush (or aren’t ready to invest in one), make your own in two seconds by pinching a powder brush or bronzing brush with our DIY Contour Brush Tutorial! 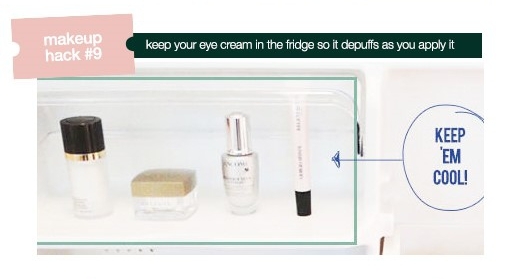 #9 If you keep your cult-favorite eye cream in the fridge, it’ll also help constrict everything and tackle puffy bags! Check out our full tutorial here. 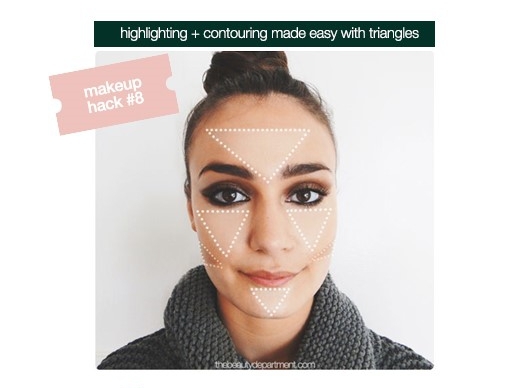 #8 Imagine and draw secret triangles when you highlight and contour with our clever tutorial! 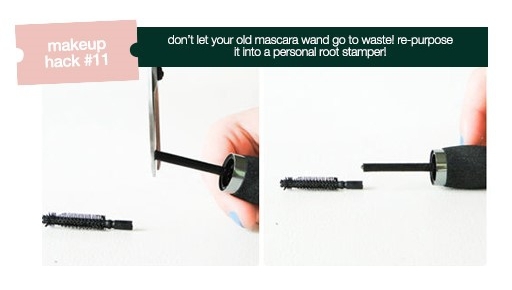 #7 Don’t toss a dried-out mascara! 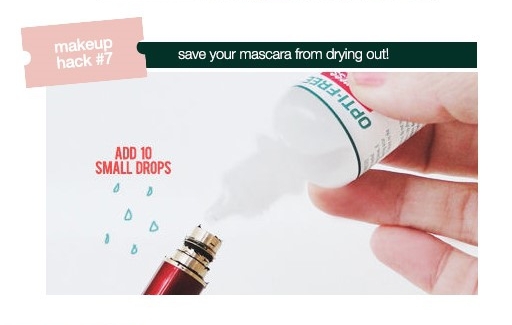 Add a few drops of Rewetting Solution and bring it back to life with our Save The Mascara Tutorial! 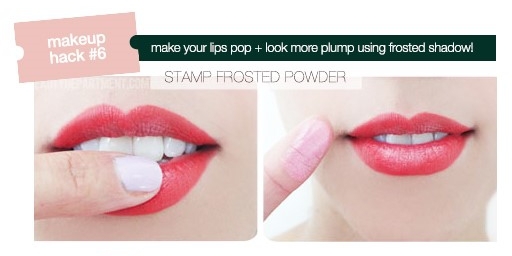 #6 Apply your favorite red lipstick and then stamp the center of the top and bottom lip with a frosted highlighter. Revisit our 3-D Lip Illusion Tutorial for more. 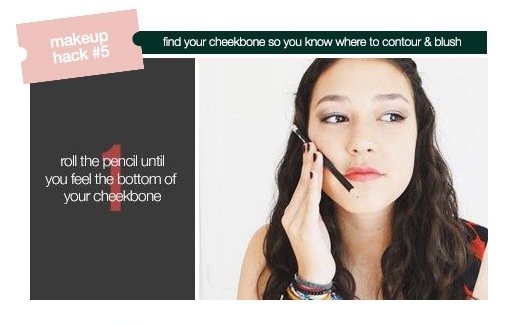 #5 If your cheekbones haven’t come in yet (mine didn’t arrive until I was 26), try our Cheekbone Finder Tutorial! 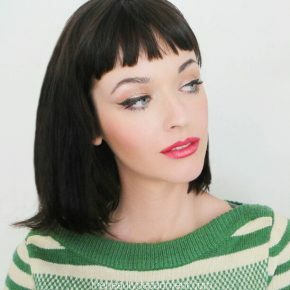 #4 Dip an angled liner brush into a gel liner pot and stamp the outline of your cat eye! 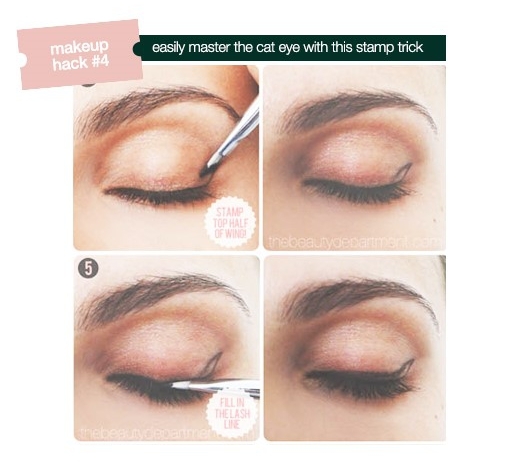 Refresh your memory with our full Cat Eye Stamp Tutorial. #3 Streamline your eyeshadows into one Custom Palette! 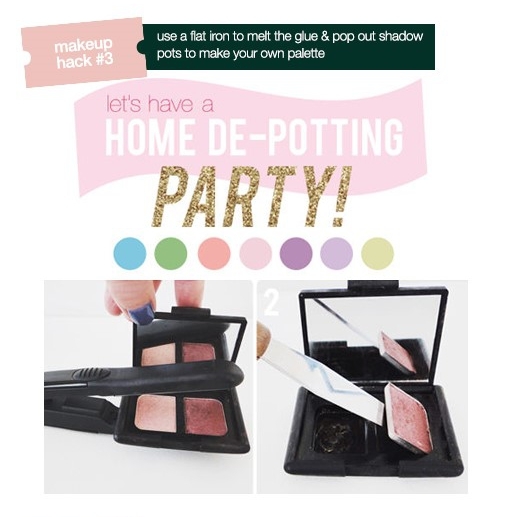 Check out my DIY Shadow Palette Tutorial for more! #2 This is my biggest pet peeve out there! No more raccoon eyes please. 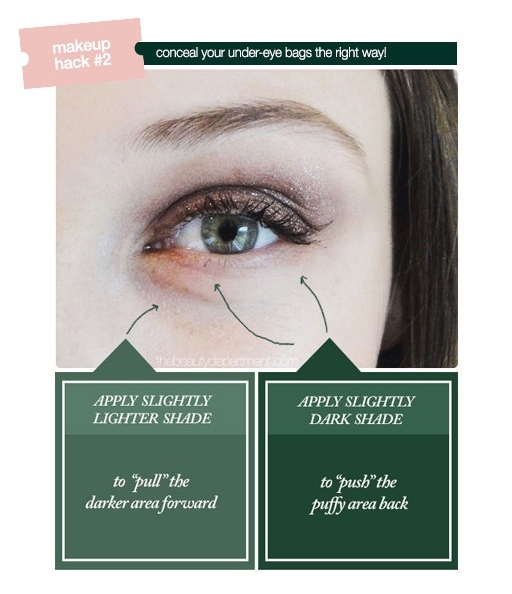 Only apply a lighter concealer to the indentation, NOT the puffy “bag”. Learn why and see my whole tutorial here. 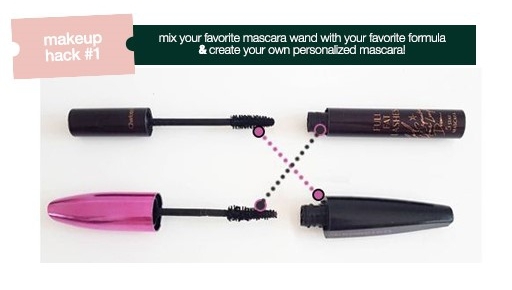 #1 You know when you try a new mascara but don’t love the formula or the wand so you toss it in a drawer with others? Don’t! 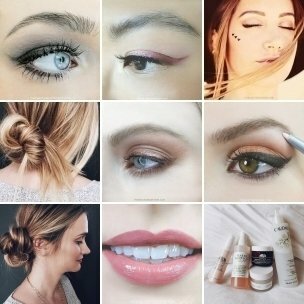 Try our Customized Mascara Tutorial instead by keeping the wand that you love and matching it with a formula that you love, or vice versa!